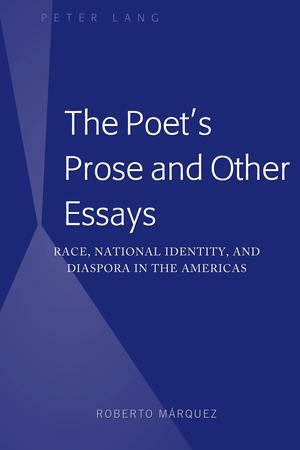 The Poet's Prose and Other Essays: Race, National Identity, and Diaspora in the Americas offers a wide-ranging compilation of essays, literary commentaries, and reviews that aim to engage New World thought and writing and contribute to a more critically integrative and comprehensively embracing perception of cultural life and production in the New World. This volume underlines the importance of the Afro-Caribbean and Afro-Latin American dimension of hemispheric history and experience, and how failure to consider or properly integrate this dimension marks one of the central problems facing Caribbean, Latin American, and Latin@ Studies today. Bringing together important literary works from Cuba, Puerto Rico, and even Peru, among other locales, the collection is composed of three key sections: the first focuses on three of the region's iconic figures?José Carlos Mariátegui, Oscar Lewis, Nicolás Guillén?and the impact of their contributions on discourses of culture, race, and national identity; the second centers entirely on Caribbean themes, across both French and Spanish language zones, exploring the creative and intellectual landscape of the region as a whole; and the final section addresses the unique features and textures of the experience of Latin@ communities in the United States, beginning with a review of New York as modern embodiment of an authentically "Hemispheric City."